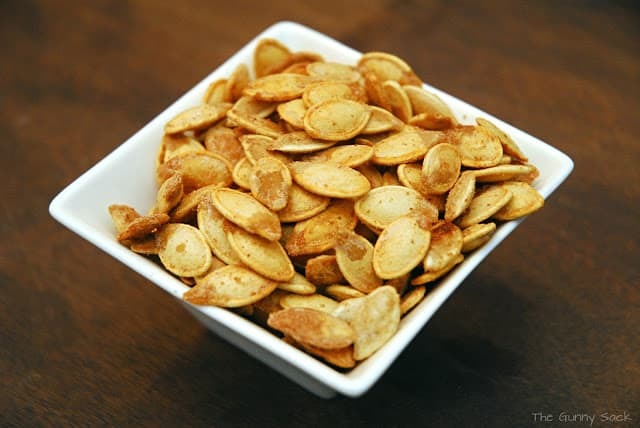 Our favorite part of carving pumpkins is being able to have roasted pumpkin seeds! There have been years where we bought the pumpkins but never carved them. Instead, we just cut them open for the seeds! We’ve tried many different spices on the seeds and this year we did three kinds: garlic, seasoned salt and ranch. Preheat oven to 375°F. Stir pumpkin seeds, oil and seasoning until the seeds are evenly coated. Pour seeds onto a greased baking sheet with sides. Roast seeds for 30 minutes, stirring every 10 minutes, or until golden and crunchy. I always roast the pumpkin seeds when I scoop out the guts to start carving. My favorite recipe is butter/Parmesan cheese. I line a couple of cookie sheets with parchment paper, spread out the seeds and drizzle melted butter on them, then sprinkle generously some dry Parmesan cheese (like Kraft) on them. Mix them up about half way thru baking time. They are delicious. I always take a mini shaker of Parmesan cheese to the movies, it’s great sprinkled on buttered popcorn. That sounds awesome! My family loves Parmesan on popcorn so I’m sure they would love it on pumpkin seeds too. Thanks Joe! Have you tried nonstick aluminum foil? How do you separate the seeds from the strings? Does this work well with squash seeds too? How much sodium does the soaking add (for those of us on salt restricted diets)? ~No, I have not tried nonstick aluminum foil. It would help with clean up though. ~I separate the seeds by hand and then put them in a colander to rinse and separate them more. 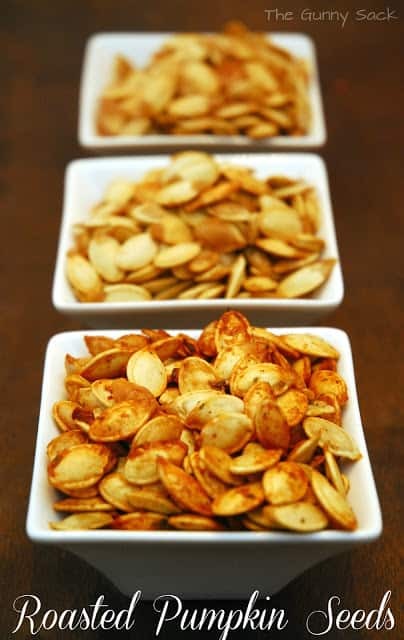 ~I’ve never roasted squash seeds, but yes the method should be the same although the cooking time would probably be shorter due to the smaller size of the seeds. ~I’m not sure how much sodium the soaking adds. If there is a concern, I would suggest not soaking them and just roasting them instead. Love your tips. Super helpful this year. Suggestion to David, you could try non-salt spices such as garlic powder, cajun spice, curry spice perhaps like that. If you are on a restricted sodium eating plan you will likely know which ones are acceptable to you. Mrs. Dash, among others makes very tasty spice combos without salt that are very tasty! My favorite is a Garlic & Herb Salt Free Seasoning that I use often. It’s incredible! I don’t miss the salt at all! I soaked the seeds overnight! Now do they have to dry before I roast them? No, just drain them well and bake them! Enjoy! What’s the best way to store these….assuming you don’t eat them all right off the pan (which I’m well on my way to doing with the ranch flavored). So yummy! Thanks for the tips! what is the water salt seed ratio for soaking them in? These look great! Does soaking them in salt water make much of a difference? Have you ever boiled them? can you use store bought seeds? thanks! As far as I know, the store bought seeds are already roasted. I think that you could still add the flavoring in the same way but you would cook them for only a short period of time. Thanks for stopping by! 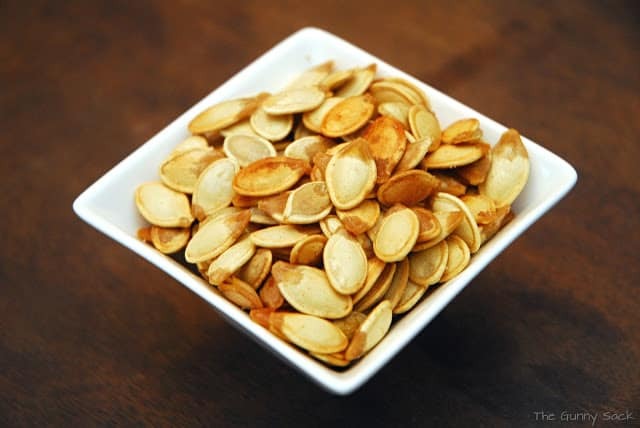 Mmm….I LOVE pumpkin seeds and always want to try something new with them. This sounds tasty! 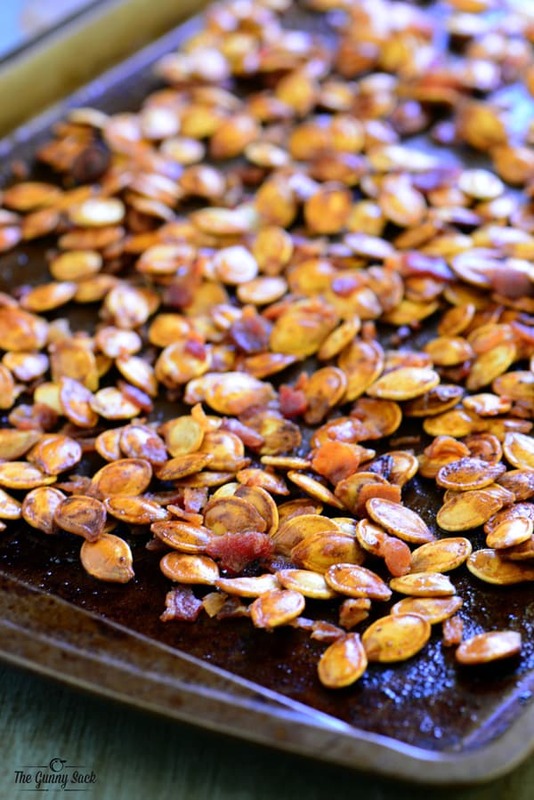 I have never made roasted pumpkin seeds before, but you make it look so easy! For the Ranch ones. Have you ever used Olive oil instead of canola oil? And did they still one out good? I have not but I think they would turn out great with olive oil! Best of luck! They are so good! When you carve your pumpkins you will have to try it! 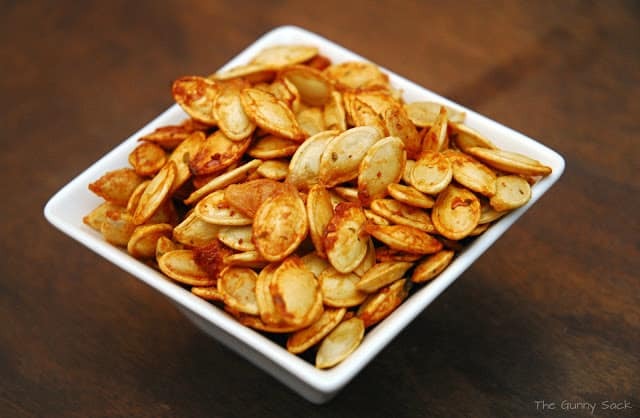 Roasted pumpkin seeds are a great snack! I love all of these variations! Thanks Jessica! They are a great snack. We just need to figure out how to make them year found! *I mean…make them year round! Thanks Jodi! Hopefully you will get a chance to make some! Those look good! I love roasted pumpkin seeds. Thanks Vanessa! They are such a great snack!